Most popular Facebook groups list usa: Do you want to get good numbers of referral traffic to your blog? Still working very hard daily to drive more website traffic? But not getting expected results? What if you can share your recent blog post on different facebook groups having millions of members? Do you need top fb group names list? Facebook is now the most trending and most visited social media sites all over the internet. It makes more easier to share and have chat with friends by it’s one of features call facebook messengers apps. This is really very interesting to talk with everyone is a short period of time! So, you can make the proper uses of facebook to share your awesome content and get visitors to your site! I just want to say, do not waste your time by spamming online here and there! There are so many possible ways you can follow for getting free traffic to your blog. In this blog i have also written some excellent post related Website Traffic. You can check this WEB Traffic category if you are really interested on it! OK, in this post I am going to share with you some of the most active Facebook groups list related blogging and others which can definitely help you to drive referral traffic to your site regularly by sharing your blog on the active popular groups on Facebook. You know that, bloggers are also using Facebook to get referral traffic to their blog as it is one of the most effective traffic sources! 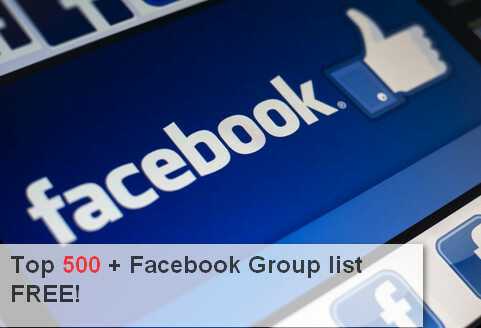 Yes, you can also take advantages from these active Facebook groups list! So, without bothering you it will be better to go through these top Facebook groups list name where you can join for free and promote your content! How to Post in Multiple Facebook Groups at once? Super Ethical Technique: Post Your blog on 500+ Facebook Groups- Just 6 Seconds! Blogging paradise is an awesome and one of the most popular groups on Facebook for every blogger. They can share their opinion in this group. Like other post to engage others to get like in your post. I think you should share only related blog post to get much attention for getting referral traffic. So, it’s time to join this group and after approval you can share your blog post! You can join this group for promoting your blog. It is an open group you can get help or try to help other member in blogging niche! If you are smart in blogging niche you can get good traffic by helping other with valuable solution. Try to help them as their needs! Trick– A great call to action works amazingly, so solve their problem by writing some sentence instead of giving full answer and tell them to follow this post to get full answer. This group is for all bloggers everywhere in the world. Join this popular group on facebook and try to post your link without spamming. I mean you should abide by group’s rule! Not only share your post but also try to share other post as well as they will also share your post which will bring more exposure to your blog! Join blogger’s point Facebook group and share you ideas with other blogger. Make interesting discussion and give proper solution for them who want to help! Engage group members and share your latest blog post for getting referral traffic. Yes, the name of this group is blog share. It makes sense to share your post in this group as its name telling us what to do!! Join this group and share your latest post, make discussion with other for building relation with them. This will help you to get spread your blog by this networking. This group is created for both newbie and pro blogger. In this group there are too many newbie blogger asking their question and pro are helping them by valuable answer. So, it is a great chance for you to get good referral traffic from this group. As many members are hungry to find their best solution. Let’s show your expertise and drive more referral traffic to your blog daily!! Here you will find everything about blogging. If not, then help them to find your blog by sharing your blog in this group! Share your latest blogging related post and engage them to visit your blog. Give valuable suggestion and like other post to avoid spam! Network with other blogger by joining this group. This group is open for blogger to share post, like other post and give valuable suggestion. Promote your blog post and get some good referral traffic via this group! List of most popular biggest members Facebook groups name! In this group bloggers try to help other by solving problem. Many active members you can find in this group. Take part of discussion with bloggers and share your post also with you. It is not good to spam anywhere in online. So, try to avoid spam and get free referral traffic to your blog by sharing and engaging others! Promote your blog by joining blog ‘promotion Facebook Group’! Also, try to like, comment and share other post. You can get like in your post and increase your follower too! list of top groups on Facebook. +Bonus Facebook groups name list for you! Yes, it is a best Facebook groups for blogger! It is an open group where guest blogger and blogger meet with others. May be the group admin want to get guest blogger, internet marketer, freelancer and so on! It could be a great place where you can find your best client. So, you can join this group see what’s going! It is also a best Facebook group where you can find valuable suggestion from other blogger!! So, finally you have got the blogging related Facebook groups names list! Right? Now it is your turn to join these groups for getting some referral traffic to your blog. I think these best Facebook groups will surely help you to increase website traffic! Believe me , I and one of my friend John use some of these active Facebook groups and getting good results day by day. I have several blogs and I use some of the most popular active Facebook groups to promote my blogs daily. While promoting my blog I firstly make plan how to promote and then move accordingly plan. Biggest Facebook Groups Name list to promote blog! Generally it will be good to share your blog post on the most related groups minimum 2 times in a day! You should bear in mind that spamming is not allowed in any group. If you blindly share more times in groups you may ban from group instead of getting some referral traffic. So, try to understand the goal! If you make habit of promoting blog correctly then it will surely help you to reach your goal! Make best use of these most popular active Facebook groups and get more referral traffic from Facebook groups to your blog daily! I request you to share these top active Facebook groups list with your friends, this post may help them a lot! One question: How much Facebook groups in your list you use to promote your blog? Keep visiting this blog and i will surely give you more new most popular active Facebook groups list with the highest usa members very soon? Oh, do you have any Facebook group? Glad you have enjoyed these fb group names list. Well, let me know it in the comment box below, definitely I will join in your Facebook groups if you accept me 😛 Will you? Thank you for sharing an awesome post really it helps me. You are really an excellent webmaster. This blog is more useful for bloggers to share top active facebook groups. This post has just opened my mouth. Unbelievable!!! Thank you so much for giving everything at one place. like this. Your blog page was well crafted and very well investigated, and that is substantially valued. I actually am constantly seeking for new websites to follow! Thanks! Anyway, great post. I must visit your site to get more new content in every single day. So keep up the great work! Yes, you have written article on your blog that you are getting more blog traffic from google plus:–D That’s good! We can get more traffic from google plus communities if we follow some tips. Before marketing our blog on google plus we need to build more authority. Providing more value and engaging with right audience will give you good results. Anyway, would love to know how much google plus communities on your list you use to promote your blog? Nice List Bro, I also make shares on Facebook but I did stop, wen I saw that a Mass majority of bloggers are focusing on Facebook alone , and had left Google Plus. So I made a New counter attack and went for google plus instead. Now using Google Plus communities and am owk with it. If you are serious about blogging and want to make money then you can read this post, definitely helpful for any beginner. It’s a great resource for active bloggers. Specially for newbies who want to get instant traffic. It’s not Sandile! It’s me- Minhaj! Yes, we can drive good traffic from Facebook groups. Here we need to active on groups and try to help others by solving their problem. And, it’s not good to share your content blindly. Share only quality useful content on facebook groups to get more traffic. Thanks for your interest on it! Definitely i will write a post on it soon. Thanks again for your kind response! I think sharing on multiple groups at a time is time consuming. Do you know you can post on more facebook groups with out spamming, Sandile? We can use groups mail address for doing this easily! I think you may know this method. If not, then let me know i will try to write a detailed post on my blog! Would love to know how you share, automatically or manually on these 104 groups daily? And, how much traffic you get daily from facebook groups only? I like to talk such kind of like minded people like as you. Definitely going to check out your group soon! Happy to see you again on my blog! Glad to know that you are on Blogging Paradise group. 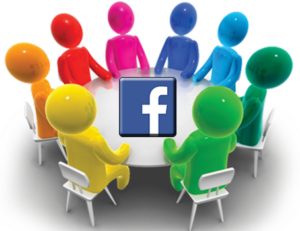 Definitely it is worth to share blog post on active facebook groups. We can grow more referral traffic by sharing our blog on facebook groups. Thanks for letting me know about these 2 facebook groups with huge members. Would love to know from you- how many times you share your post on facebook groups a day? And, how many group are in your list you use to promote your blog daily? Waiting for your reply, Sandile!